Features dentil moulding detailing and 2 metal hangers on back for hanging on wall. 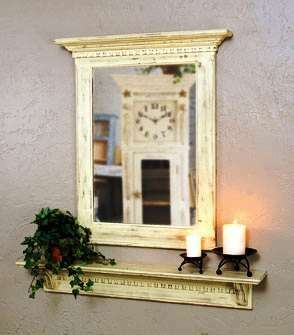 Shown with DM36-Decorative Mantel Ledge-36″. Ships in 1 corrugated carton (19 lbs) on 1 wooden pallet (50 lbs) by common carrier.